Posties and parcels are a regular occurrence in our (rather spoilt) household. The door bell rings and in comes another product for review. Mini is Chief Package Opener (once homework is done) and she gives the initial verdict before I’m even allowed a peak. The PR agency who represent Moccis – the Swedish hand-sewn knitted slipper sock with leather sole – sent the Smalls a pair each in return for their thoughts and my words. 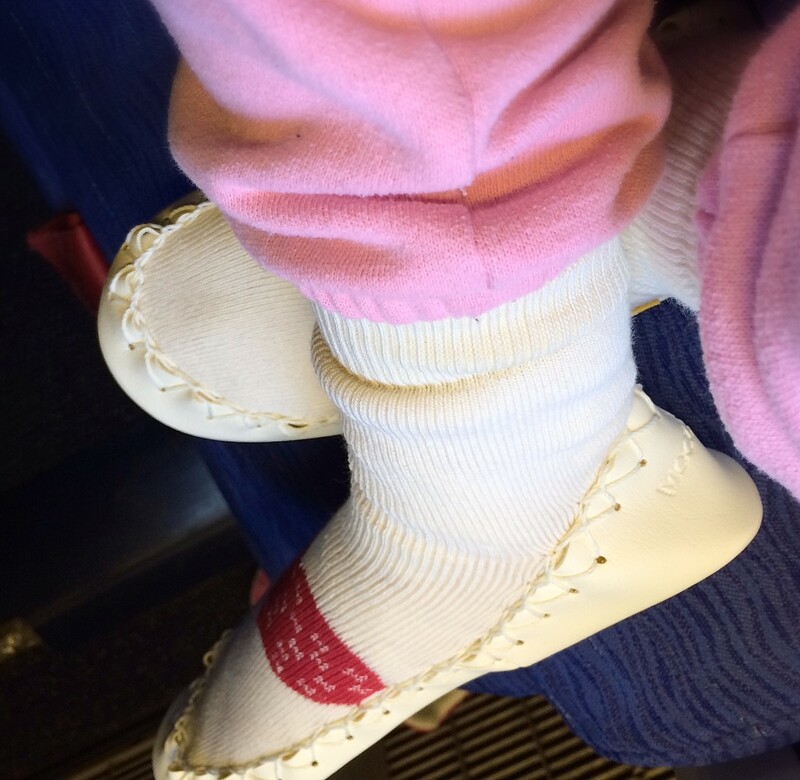 I promptly sent the PR an email asking if it would be ok for me to wait until our next family long distant flight to review the Moccis. 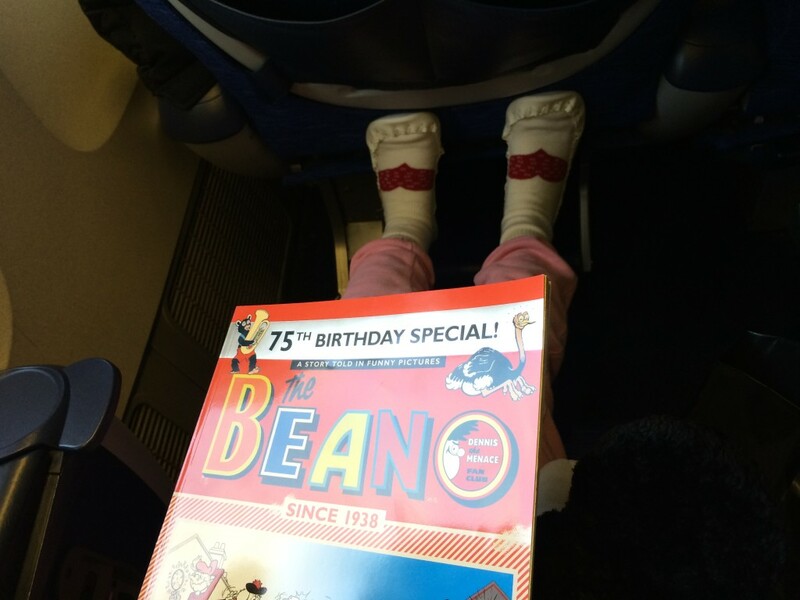 So here we are on a British Airways flight on route to Mickey and Donald Duck (more of which later) with Beano, snacks, books, games and… our Moccis. 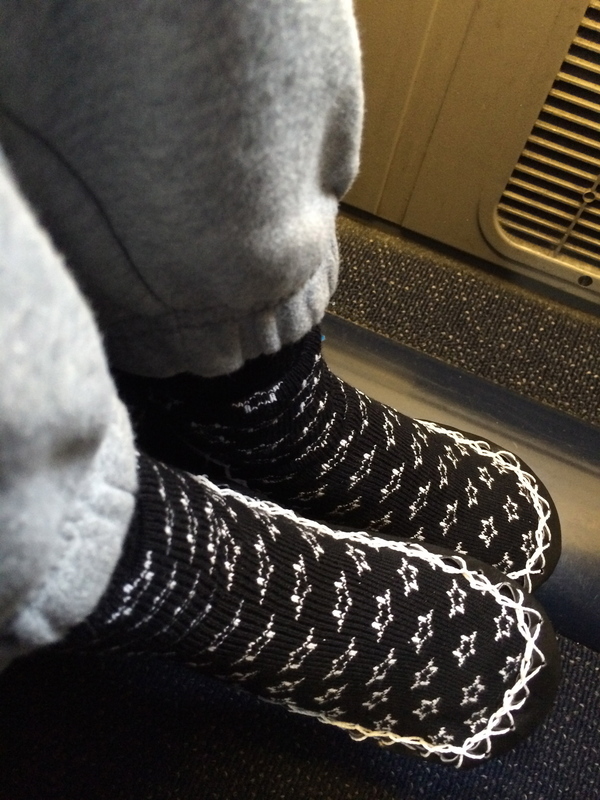 And we are discussing how perfect these slipper socks are – comfy, warm, non-itchy and suddenly we find the pilot is amongst us. Just hovering. He is staring at Him and asking how he is and if he is comfortable (and we’re not even in any sort of posh class). Muttering something about enjoying His moment of glory, He and I simultaneously realise that He is being mistaken for someone else. Someone really famous. Copious giggles ensue. And it’s all I can do to cover up the blunder by asking this very much mistaken pilot to pose for a photo with Small (in his Moccis). So we’d advise you ALL to get a pair (they do adult sizes too!) for plane journeys and side-splittingly funny moments at 40,000 feet above sea level. The junior sizes of Moccis are £34.97.